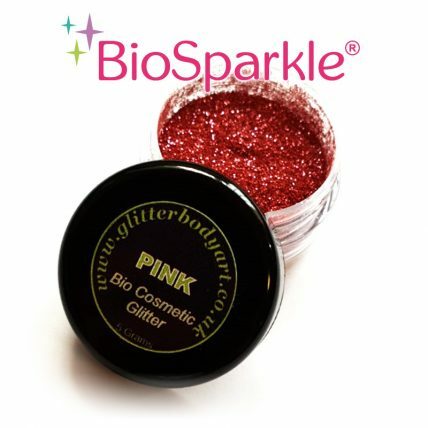 Add sparkle to your products whilst protecting the environment by using our beautiful pink bio glitter. Perfect for glitter tattoos, mixing for festival glitters, glitter hair and make up. Bio glitters break down naturally in the environment – perfect for outside events like carnivals and festivals. No animal testing. This range are just as sparkly and beautiful as our normal range of glitters, but kind to the environment.